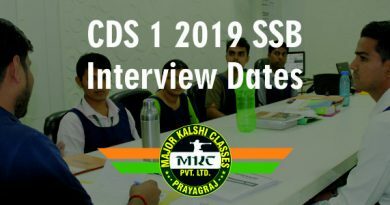 SSB interview is the second stage selection procedure after qualifying written examination. To face 5 days SSB interview procedure is cherish dream of many aspirants. For every officer entry aspirants have to face SSB. 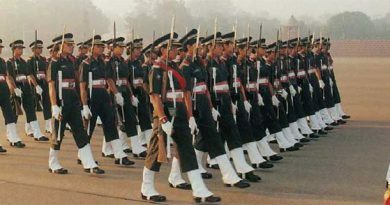 Entries like NDA, CDS, AFCAT, TGC, TES and several direct entries require having SSB interview. It is advised to bring twenty five copies of recent passport size colour photographs taken in light colored clothes against white background for documentation (if Recommended). The candidate should be visible in the full face and both ears in photograph. It should be the same photograph that is uploaded in online application form at the time of online registration. Original Admit Card or call letter, In case if it is not available with the candidate, he/she is to furnish an affidavit stating the valid reason. The reason also needs to be supported by documents like copy of FIR in case of loss/theft of the same. Original Matriculation/ Secondary School Passing Certificate and Mark sheets issued by CBSE/ ICSE/ State Board/ any recognized Board indicating DOB (No other certificate will be accepted for verification of Date of Birth). Graduation Degree (Original/Provisional) if applying on the basis of Graduation. If applying on the basis of Post Graduation, in addition to (i) above graduation degree (Original/Provisional). Bonafide certificate in case the candidate is appearing in the final year/semester of qualifying examination. In case candidate is appearing in Final Year/final semester of PG, then he/she is also to produce documents mentioned above. The candidate should not have current backlog at the time of appearing for SSB interview. In case the candidate has cleared the backlog of any semester, the same should be substantiated with a mark sheet issued by College/University. Alternately, a certificate clearly mentioning the year of passing & marks scored from the College/ University authority may be produced. Merely re-appearing in that subject will not be construed as clearing the backlog. Percentage of marks obtained in the qualifying degree/examinations. Methodology/formula used to arrive at percentage. Whether all subjects studied have been included or not to arrive at percentage. In order to arrive at percentage, all subjects and semester are to be considered without eliminating any non-credit subjects/semester or reducing the weightage of any subject/semester. Three attested photocopies of all marks sheets/passing certificates. If candidate is working then NOC from employers of candidates working in Central/State Governments or Public sector undertakings. If applying for Flying branch Original valid Commercial Pilots’ License, issued by DGCA, (if applicable). If candidate is appearing in his/her first SSB should bring Hard copy of Railway/Bus Tickets (for refund of Travelling Allowances). Don’t forget to bring Proof of Identity: Following shall be accepted as proof of identity. (a) One pair of White Shirt/ T-Shirt, Shorts/ Trouser/ Track Suit/ Salwar-kameez (Female candidate), Socks and a pair of white sports shoes. (b) Adequate writing material (Pens and pencils). (c) Formal Clothing, according to season. (d) Two pairs of formal dresses for mess premises and interview. (e) Lock and keys to safeguard your personal belongings. and go for your Interview.